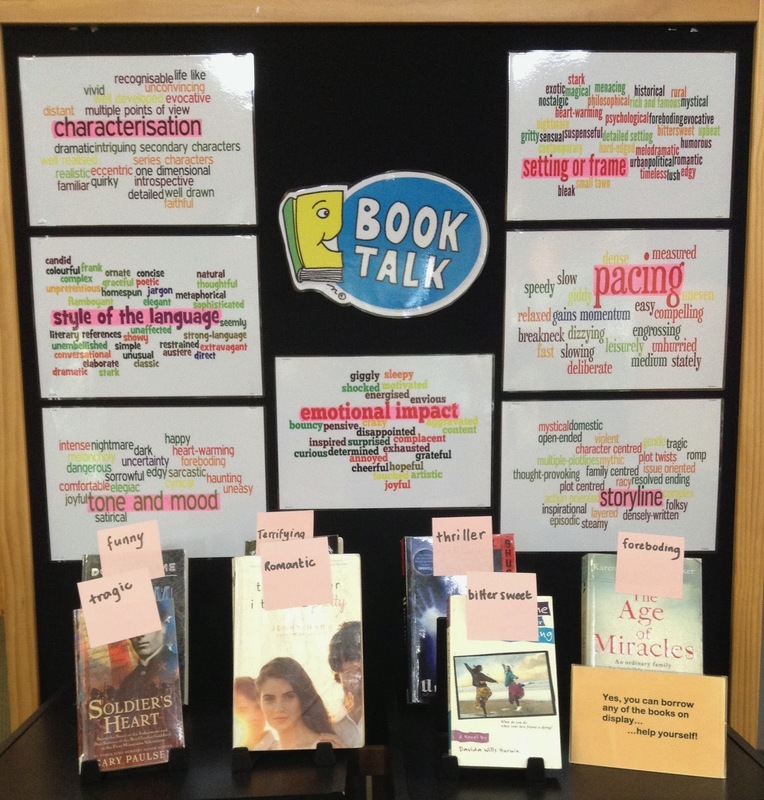 This is a display to give students some vocabulary and ideas to talk about books. The books on display have stickers on them with an appropriately selected word. When it's time for the display to come down I will relocate it to the little room where the students meet for Book Club.